The Mace Technologies' Conductor Joints Inspection Service is a condition monitoring tool designed to establish the precise state of all electrical connections on overhead power lines. It involves the accurate measurement, under live conditions, of the resistance of each joint. Midspan joints, tee-off clamps, parallel groove clamps and both the compression and bolted sections of deadends can be included. The resistance of each half of the joint is measured by means of a SensorLink Live-Line Micro Ohmmeter. The instrument, when pressed against the joint, provides a direct reading in micro ohms. The device calculates the resistance by measuring the AC current on the line and the voltage drop between the electrodes. This ensures that realistic current distributions through the joint are being assessed. No changes in the resistance displayed are seen with line current amplitudes from 1 to 1400 amps. The measurement range is 5 to 2500 micro ohms with a resolution of 0,1 micro ohm, an absolute accuracy of +/-2% and a repeatability of +/-1%. This type of evaluation is thus much more sensitive than infrared thermography which, although a most powerful diagnostic tool, is affected by weather conditions, emissivity of the object, current loading on the line, background reflections, etc. For systems of voltage less than 66kV, the measurement is made from the ground or bucket truck. 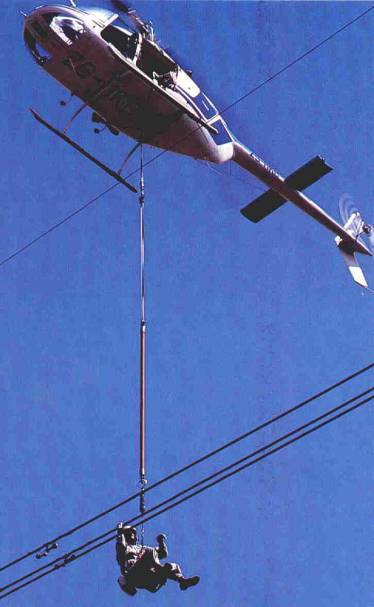 At higher voltages, the test is undertaken by a linesman under-slung from a helicopter. All readings, together with the phase and position of the joint, are entered into a computer data base by an operator in the aircraft. 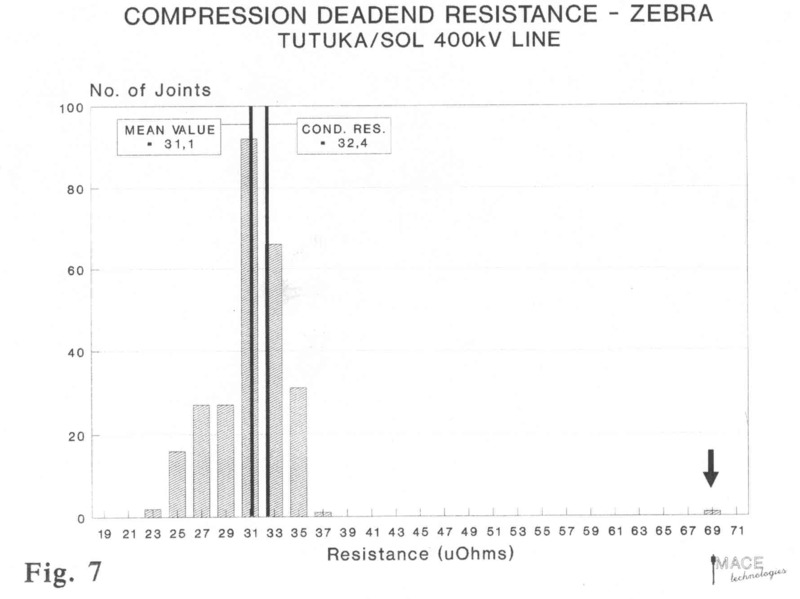 Measurement of an equivalent length of conductor is taken as a control for comparison with the joint resistances. 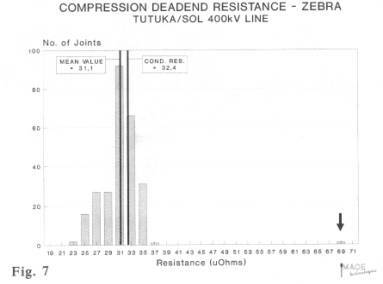 The exact resistance of each connection is provided together with a diagnosis as to whether the joint is defective or deteriorating and the probability of failure should the line current increase. Corrective action decisions can thus be made on a definite, quantitative basis. Statistical analyses of the joint conditions on a particular line, or set of lines, are also prepared. If required, splice replacement or the application of preformed repair sleeves can be undertaken to defective connections immediately on detection by the inspection team. Without the need for the utility to mobilise a second crew to effect the repair, considerable savings can be realised.